Querciplex is a combination formulation of quercetin and bromelain designed to support immune cell function or vascular health. Quercetin is a bioflavonoid that has excellent antioxidant activity.† Bromelain is a proteolytic enzyme purified from pineapple, which is active and stable at the acidic levels found in the stomach. Quercetin is a naturally occurring bioflavonoid with antioxidant activity. The antioxidant activity of quercetin supports the gastrointestinal tract and immune system in several ways. 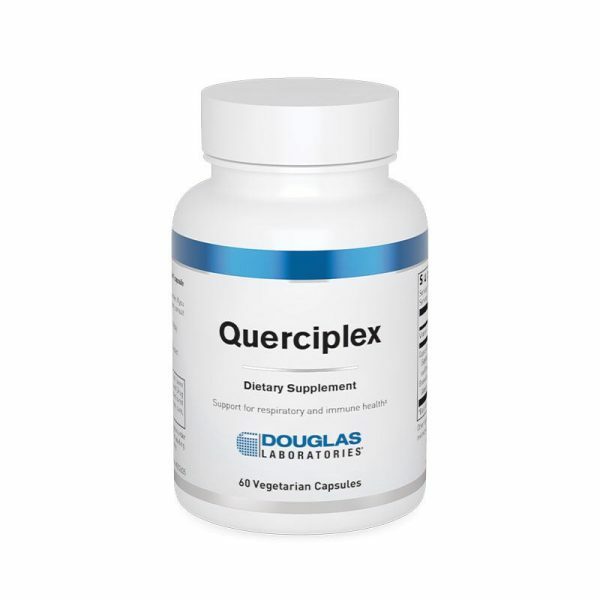 First, quercetin prevents oxidation of lipids. The gastrointestinal tract has an increased exposure to oxidative stress due in part to the lowered pH. It is important to protect the lipid bilayer of the cell wall of the gastrointestinal tract because these cells serve as an important part of the body’s immune system. Secondly, quercetin prevents the depletion of glutathione from the cells of the intestinal tract. Glutathione is a cosubstrate for antioxidant enzymes glutathione peroxidase and glutathione reductase. By preserving the level of glutathione, quercetin protects metabolic activity and cellular structure of the highly vulnerable cells of gastrointestinal tract from toxic free radical damage. Thirdly, quercetin increases mucus secretion from gastric cells. The mucus polysaccharide provides a protective buffer for the gastric cells from the low pH of the stomach contents. The reduced contact provides gastric support. Quercetin also supports the normal immune response to antigens. Quercetin inhibits the IgE-mediated release from mast cells as well as IgG-mediated histamine release. 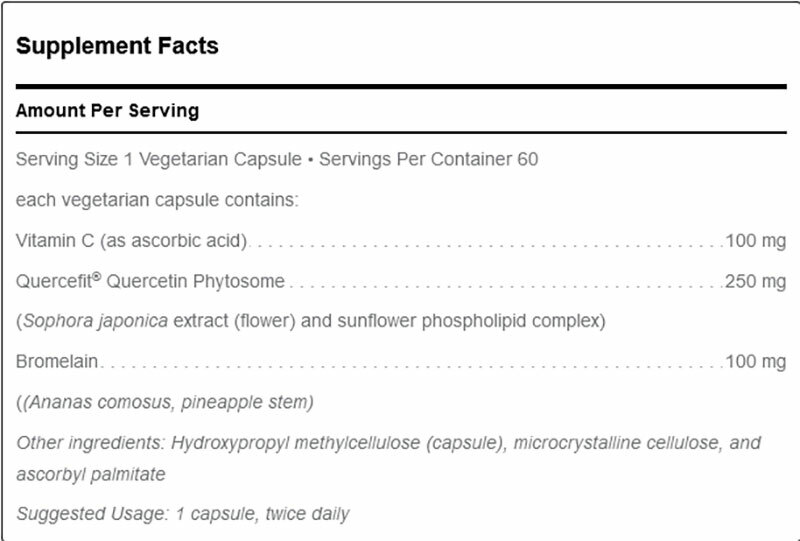 Bromelain is a supportive enzyme in the gastrointestinal tract. Bromelain assists in the breakdown of large macromolecular protein complexes. This reduces the chance that these complexes will leave the stomach untouched or in large fractions retaining their recognizable antigenic form that could pass through these gastric lesions inducing an immune response. Quercetin and bromelain are dietary nutrients that help support the immune system.